No one said work comp billing was easy. In fact, we say just the opposite, all the time. That’s why we created DaisyBill, and why we do our best to offer as many helpful tips and tricks as possible through this very blog. One issue that’s come up repeatedly in recent months is when to apply the Comprehensive APC (C-APC) Status Indicator. As we explained in a previous blog, Medicare adopted the J1 Status Indicator[a] to “bundle” payments for multiple related services, rather than pay piecemeal for every sub-procedure done in the course of a broader procedure (like gall bladder removal or placing a pacemaker). Most of the time, any procedure designated J1 status is the only payable procedure on a given bill. Any other codes on that same bill fall under the single, primary J1 payment. When multiple J1 codes appear on a given bill, usually only one is payable. The key word here is usually. Certain combinations of J1 codes qualify for a C-APC payment[b]. The qualifying C-APC payments are higher than those of any single J1 code, to reflect the complexity of the overall encounter. In this way, the insurer or employer pays the provider with respect to the complexity of the encounter, without paying for each individual J1-designated service. The payment remains “bundled,” but the provider is compensated beyond the usual single J1 payment. The confusion arises in determining which combinations of codes with J1 status qualify for a C-APC payment. Recently, we’ve encountered situations in which claims administrators actually overpay providers, because the bill review mistakenly applies C-APC payments to combinations of J1 codes that do not qualify. As we’ve discussed, overpayments are not recoverable[c]. So it’s important that everyone on both the billing and payment sides of the equation apply these C-APC payments correctly. 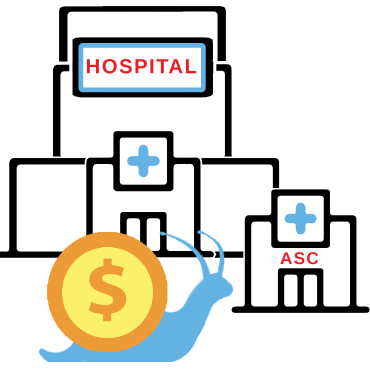 When a provider fails to realize that a combination of J1 codes qualifies for the increased C-APC reimbursement, they’re leaving money on the operating table. If the insurer or employer’s claims administrator applies C-APC status incorrectly, they forfeit money they can’t take back. To determine whether a pair of codes qualifies for C-APC, you must reference HOPPS Addendum J (2017 NFRM Addendum J 2016 12.05.16). The third tab of this addendum lists the pairs of codes that qualify for the increased C-APC reimbursement. Some bill review companies incorrectly use the second tab, resulting in substantial overpayments for rendered services. The J1 and C-APC Status Indicators are a prime example of the complexity of work comp billing and coding. Pitfalls abound, and mistakes will be made. To eliminate avoidable problems, we can’t recommend a powerful, specialized billing software strongly enough. As long as the Official Medical Fee Schedule (OMFS) is subject to convoluted twists like these, confusion is around every corner. DaisyBill’s Work Comp Wizard includes our OMFS Calculator, programmed with all the complex code combination rules that billers struggle with. We get the payment amount right, saving your office time and money. Try the Work Comp Wizard today.